Jehad Serwan Mostafa is an American citizen who moved to Somalia in 2005 “Jehad Serwan Mostafa,” National Counterterrorism Center, accessed February 23, 2015, http://www.nctc.gov/site/profiles/mostafa.html. and joined the Somalia-based extremist group al-Shabab. “Jehad Serwan Mostafa,” Voice of America, accessed February 23, 2015, http://m.editorials.voa.gov/a/2337894.html?pe=2&pr=0&pm=0&pa=0&t=Episodes. Mostafa is believed to have trained and instructed al-Shabab militants as well as recruited foreign fighters. He also reportedly performs social media activities for the terror group. “Jehad Serwan Mostafa,” National Counterterrorism Center, accessed February 23, 2015, http://www.nctc.gov/site/profiles/mostafa.html. 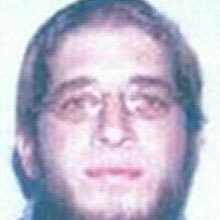 Mostafa is on the FBI’s Most Wanted Terrorists list. There is a reward of $5 million for information leading to his capture. “Jehad Serwan Mostafa,” FBI: Most Wanted Terrorists, accessed February 23, 2015, http://www.fbi.gov/wanted/wanted_terrorists/copy_of_jehad-serwan-mostafa/view. In February 2009, Mostafa was indicted by a U.S. grand jury and charged with “conspiracy to provide material support to terrorists; conspiracy to provide material support to a foreign terrorist organization; and providing material support to a foreign terrorist organization.”R. Stickney and Paul Krueger, “Accused Terrorist was ‘Kind, Peaceful Man:’ Friends,” NBC San Diego, August 6, 2010, http://www.nbcsandiego.com/news/local/Accused-Terrorist-Was-Kind-Peaceful-Man-Friends-100139424.html; “Jehad Serwan Mostafa,” FBI: Most Wanted Terrorists, accessed February 23, 2015, http://www.fbi.gov/wanted/wanted_terrorists/copy_of_jehad-serwan-mostafa/view. Mostafa faces a 15-year sentence for each indictment.“14 in U.S. accused of supporting Somali terrorist group,” Los Angeles Times, August 5, 2010, http://articles.latimes.com/2010/aug/05/nation/la-na-somali-terror-20100806. In October 2009, the United States District Court in the Southern District of California issued a federal arrest warrant for Mostafa.“Jehad Serwan Mostafa,” FBI: Most Wanted Terrorists, accessed February 23, 2015, http://www.fbi.gov/wanted/wanted_terrorists/copy_of_jehad-serwan-mostafa/view. Mostafa’s American acquaintances have described him as a “quiet,” “patient,” and “peace keeping Muslim.” They were shocked to learn of his 2009 indictment, with one woman saying, "Oh my God. That's hard to believe. He had no accent. He was a white kid with red hair.”R. Stickney and Paul Krueger, “Accused Terrorist was ‘Kind, Peaceful Man:’ Friends,” NBC San Diego, August 6, 2010, http://www.nbcsandiego.com/news/local/Accused-Terrorist-Was-Kind-Peaceful-Man-Friends-100139424.html. “Anwar” (moniker)“Information that brings to justice Jehad Serwan Mostafa,” Rewards for Justice, accessed February 23, 2015, http://www.rewardsforjustice.net/english/jehad_mostafa.html. Jehad Serwan Mostafa is an American citizen who moved to Somalia in 2005 and joined the Somalia-based extremist group al-Shabab.